The 2018-19 7DAYS EuroCup season is coming down to the last game again. 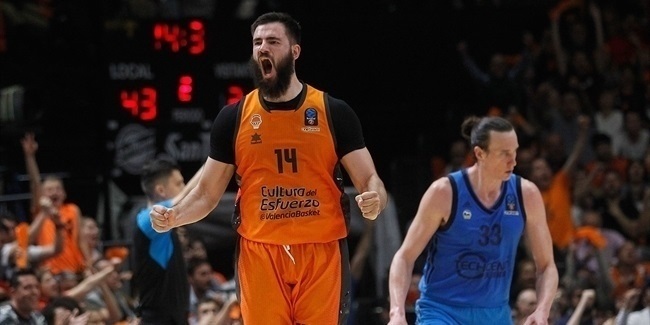 With Valencia Basket and ALBA Berlin tied at 1-1, their best-of-three EuroCup Finals series will come down to Game 3, in Valencia on Monday night. 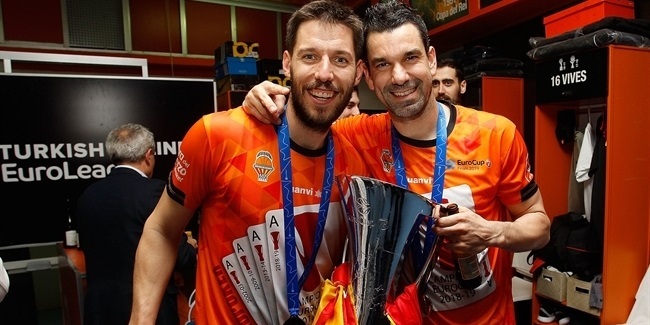 Since the EuroCup playoffs format changed to best-of-three series, this is the second time the decision to crown the competition champion is coming down to the last game of the season, and eight current Valencia players and the club’s entire fan base do not have happy memories about the only previous occasion Game 3 of the final series took place. On the other hand, it was one of the most memorable nights in the history of Unicaja Malaga. In the 2016-17 season, Valencia held home-court advantage in EuroCup playoffs, and hosted fellow Spanish side Unicaja on April 5 in a packed 'La Fonteta' arena. Valencia came into the game on a 10-game home winning streak and in search of its fourth EuroCup title, while Unicaja arrived hoping it could pull out yet another series win without the home court advantage, after ousting FC Bayern Munich in the quarterfinals and Lokomotiv Kuban Krasnodar in the semifinals in the previous weeks. Unicaja did get a better start to the game, taking an early 2-10 lead, but Valencia quickly recovered before putting together a 20-4 run behind Bojan Dubljevic, and with help of Romain Sato and current ALBA star and EuroCup MVP Luke Sikma. Unicaja cut the deficit to 33-30 at halftime, but Valencia kept control in the third quarter as Fernando San Emeterio and Sam Van Rossom hit triples, and Sato had a three-point play. Valencia held 56-43 in the opening minute of the fourth, when Unicaja started its comeback. Dani Diez nailed a pair of three-pointers that brought Unicaja within 56-54, and back to life with 4 minutes left. Jeff Brooks scored around the basket to continue the run, and a three-pointer by Jamar Smith completed the comeback. Alberto Diaz capped a 0-18 run that had Unicaja in front, 56-61, in the next to last minute. Valencia had chances to tie the contest, but missed multiple long range attempts before Brooks came up with a big block on Rafa Martinez with 17 seconds to go, helping Unicaja hold on for the title. Diaz paced Unicaja with 12 points and was named MVP of the Finals, while Smith added 10. Dubljevic paced Valencia with 16 points. Unicaja became only the second EuroCup newcomer to win the competition, and Diaz was chosen as the finals MVP. This Monday, Valencia will once again have a chance to chase its fourth competition crown in Game 3 in front of its fans. Dubljevic, San Emeterio, Van Rossom, Martinez, Will Thomas, Antoine Diot, Joan Sastre and an injured Guillem Vives hope to shake off any negative memories of the same occasion. However, ALBA, confident after a win on its home court on Friday, hopes to repeat EuroCup Finals Game 3 history. 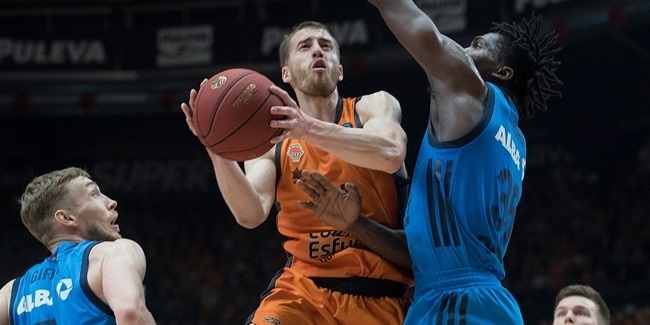 In his first season of European competition, Valencia Basket sharpshooter Matt Thomas has hit the jackpot by playing a big role in his team's 7DAYS EuroCup title triumph.